Nulled themes or extensions are pirated versions of plugins that can be used for Joomla, WordPress or any kind of platform websites. It is like using cracked or pirated versions of a software for your PC. They apparently come free of cost, but in the long run, you may end up paying a lot. Unlike pirated programs, nulled themes and plugins come with multiple additional risks and inconveniences that not only hamper the user experience but may also land you in trouble. Here are some of the significant issues that you may face with nulled themes and plugins. Nulled extensions are also known to be malicious. 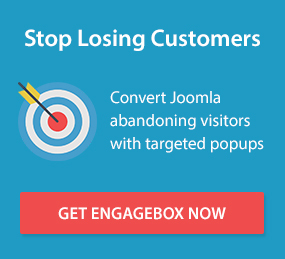 If you are using a nulled Joomla extension or Joomla template on a website that is supposed to work with sensitive user data, then a malicious plugin can cause a lot of harm to your business and reputation. Moreover, it is quite hard to detect such malicious codes in nulled templates or extensions. There are some tools like VirusTotal which can identify such malicious codes, but however, such tools are not fooled proof. Besides data breaches, you can also have your own data stolen, your website defaced or have the site unindexed from search engines. Privacy issues include identity theft, or user behaviour tracking. Identity theft is a severe offence and often stolen username, and passwords are soft on the dark web. If you have launched a website that requires users to log in, such as a forum or an online shopping site, then it is recommended that you stay away from such templates and plugins. Nulled Joomla templates and components not only harm your security and reputation but also harm your search engine rankings. Nulled templates or extensions can add links to other malicious websites that are blacklisted by search engines. If your website has a link to such a page, then your site will automatically get penalized by Google. The links are often hidden in the scripts are not visible on the webpage. The search engine crawler can see them when the website is being indexed and hence they will penalize the site and drop the rank. When the position is dropped, it may take months or even years to get back a better rank. Sometimes, the entire website may need to be replaced. Pirated digital content is illegal in many regions. Moreover, even themes that are labelled as "free" often have other material that along with them that are copyright protected. These may include visual assets such as demo images that you are not supposed to use on your website. Sometimes, these may land you in legal troubles. If you are using a nulled theme, then you may face legal troubles over violating copyright protection. If you are using any free Joomla theme, you should double-check which parts of the theme you are supposed to use and which part you are not. Often, these legal proceeding may cost you a lot, and you may end up paying a considerable sum at the court. The cheaper alternative is buying a premium theme and not going for the free content at all. Theme and especially extensions can be quite buggy right after release. Over time, these plugins and themes are updated to have their bugs fixed. Sometimes they also receive new features or get maintenance updates that keep them compatible with other themes and plugins. Nulled templates and extensions do not have any such auto-update feature. You are only stuck with the version that you have. You do not get any updates unless you also get the new nulled version and install it. Joomla templates and plugins come with documentation that you will need to deploy it on your website. Even the most experienced web developers and admins need to look at the documentation because they do not know how the theme or extension developers implemented the product. Hence, documentation is a crucial part of a theme or plugin that you will miss out on if you are using a nulled product. This can make the theme or plugin challenging to install on your website, or can be merely defunct. Since you do not get updates automatically, you also miss out on new features that would be automatically installed when they are released. Moreover, in the case of extensions that interface with other services, you may be blocked from using the service altogether if you have an outdated component or module. New features not only help you make more revenue from your website, but it also provides a better user experience for your visitors. With nulled themes and plugins, you will not even be aware of a new feature has been released as no update notifications will be sent to you. When you are using a warez extension on your website, you are not only compromising with your website, but you are also taking away money from the developers and designers who have worked hard to create the template or the extension. Professional developers and designers often work long hours to provide you with multiple themes and plugins. It also takes a lot of effort to create the documentation, create their own portfolios and market their products. It also costs developers money to publish their product in a store. So, if you are not buying the theme, you are basically discouraging developers and designers to build more such themes. Using nulled products hurt businesses a lot. One of the primary reasons why one should not go for nulled software is because they really do not need to. If one cannot pay for a specific theme or plugin, there are a lot of other free alternatives. WordPress and Joomla have been around for a very long time, and both of these platforms have a vast ecosystem of free content. Be it forms, analytics, themes or SEO, there are free variants of all plugins that will provide for of the functionality of a paid one. Nulled products can often make websites more vulnerable to attacks. Even if they may not contain malicious codes, they also may not include the proper security features that were implemented in the original product. This may lead to attacks on your website. Nulled templates or extensions may also contain backdoors allowing other people to access and change the content of your website. Such backdoor codes are well obfuscated making it almost impossible for web admins or developers to find out. Nulled extensions or themes may be incompatible with third party extensions and themes – nulled or original. Nulled products are often modified, their source code is changed when they are published on pirated websites. This also kills some of their functionality. Often, they will fail to play along with other plugins that you have installed on your website. In the worst case, a nulled theme or plugin may behave abnormally. This is worse than having a theme or plugin that does not work. A nulled plugin may scramble form data or analytics data. This will make it harder for you to collect data, or get insights into which pages are being visited more. Moreover, if you are storing sensitive user content on your website, a malfunctioning theme or plugin may not save user data correctly and make it impossible to get back the data. If you are using a nulled theme, then it can be quite hard to customize the theme. This is partly because of the lack of any supporting documentation. Moreover, such nulled extensions may not come with a clean commented code. This makes it harder for admins and developers to understand the content of the nulled product. Moreover, customizing parts of a nulled theme may render some other part non-functional. A nulled Joomla template or plugin can be used by cybercriminals to inject adware on websites. The website can be hijacked to show ads from some other source, and hence you may not end up earning any ad revenue. Moreover, nulled themes and plugins can be used to inject annoying adware or even malware on websites. The nulled extensions can have code that mine cryptocurrency on the user's browser without their consent. This can slow down or overheat the user's PC. It can also make the web browsing experience quite poor. Nulled themes and components can be used to steal the content of your website. So, if you are using a nulled theme or a plugin on your blog or on your website, your content like videos, photographs can be easily stolen and can be published on other websites where they can generate revenue from your hard work and you end up with empty hands. Using nulled themes of plugins is not a good idea. Not only are they unsafe for the users, but they are dangerous for your too. They may end up costing you more than what buying the original themes and plugins would have cost you.